Do you dream of a beach wedding in Cairns, Australia surrounded by palm trees, tropical warmth, the sound of waves crashing on the beach and the sun setting over the hills? Let your imagination run wild. No Limit Adventures offers full-service planning of personalized weddings and honeymoon packages in Australia. We also do other unique destinations like Papua New Guinea. Tell us your ideas for your dream wedding and we will help fulfill your wishes. Getting married is one of the most special moments in life. 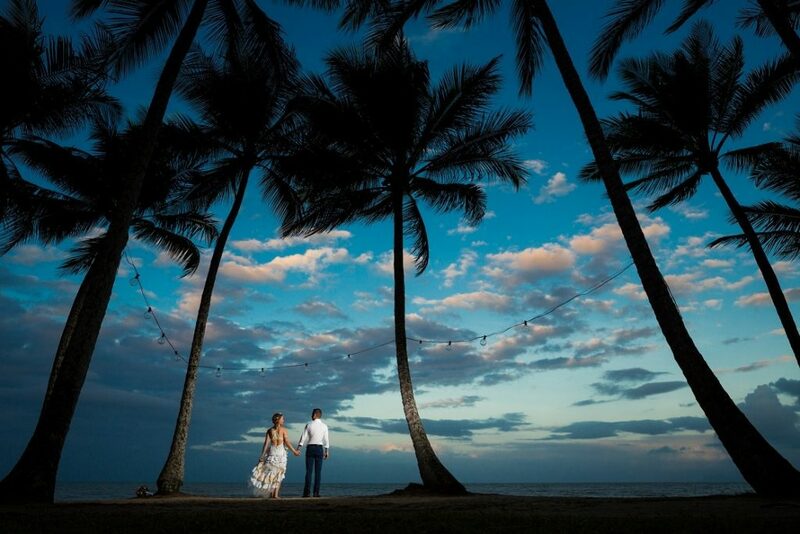 Why not make it extra-memorable with a beach wedding in Cairns or on a tropical island out on the Great Barrier Reef. If you are adventurous try a heli wedding – while flying in a helicopter. How about a pristine rainforest setting or traditionally in a small quaint chapel? Have a Samoan band play for you during your ceremony, say your vows under water or while you are in the presence of kangaroos. There are many options and if you have other ideas for your perfect day let us know about them. We look forward to organizing your wedding and honeymoon package in Cairns, another part of Australia or somewhere unique like Papua New Guinea.